This Triple Chocolate Birthday Cake will even make Willy Wonka's mouth water! 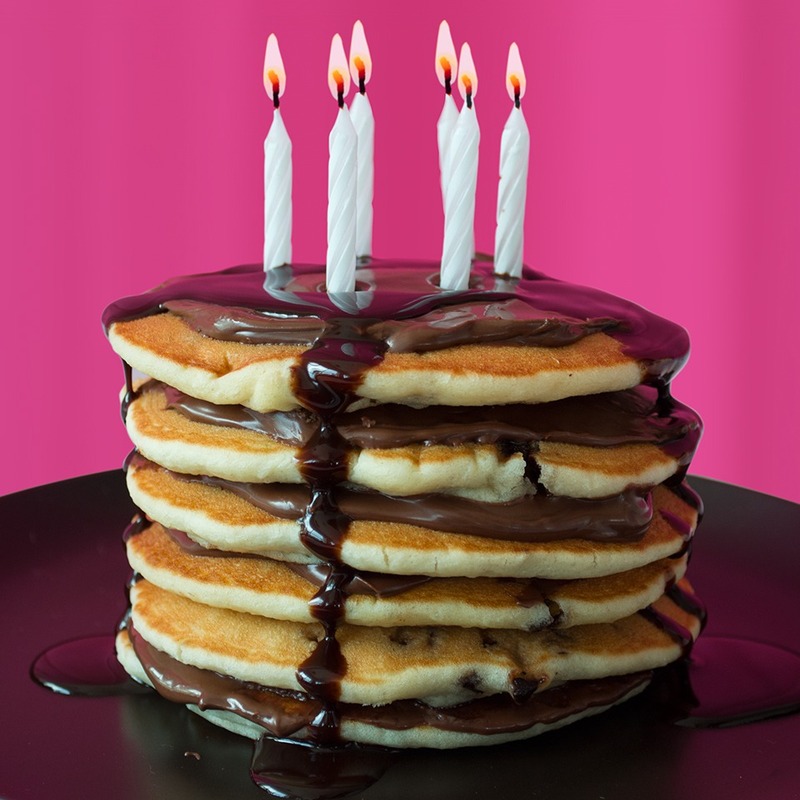 Made with our Chocolate Chip Pancakes, chocolate hazelnut spread and warm chocolate syrup, this is the ultimate (pan)cake for any special celebration. Heat up 6 De Wafelbakkers Chocolate Chip Pancakes according to the microwave instructions on the package. Once pancakes have cooled for a minute or two, begin layering the cake by spreading each pancake with chocolate hazelnut spread and then stacking on top of each other. Warm the chocolate syrup up in the microwave according to packaging instructions and drizzle over the top. Pop a few candles on top, make a wish, and dig in!